Oh what a treat! 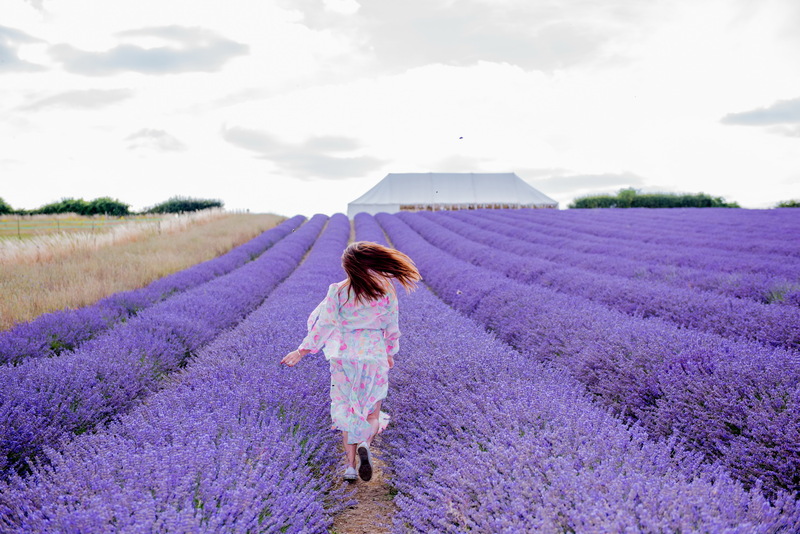 In mid-July, I was able to rent the Lordington Lavender fields for 6 hours and shoot many families, babies, in white cotton! What happens on a minishoot? The light got better and better, with the sun going down around 8 pm, just over the top of the hill. The bees were noisy and busy but none of them attacked us. The best things about photographing families, especially if they have small kids, is that they can’t be posed really or fake around the kids as it doesn’t work. Kids tend to run free and do what they want. The are unaffected by a photographer, or their camera!, unless they want to see the photographs, which many do these days as they are quite used to cameras. I always say no, otherwise, they want to see each photo you take. 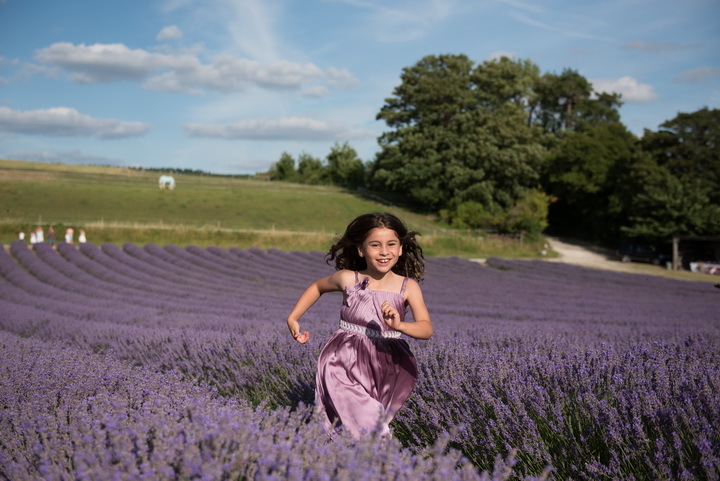 When can I go to the lavender? Everyone seemed to be quite taken with the view and the smell. All the families were relaxed. We had the shots between mid July and beginning of August, as the lavender had to be mown and used. I tend to think that the lavender is just there to be photographed and enjoyed, which is silly really. 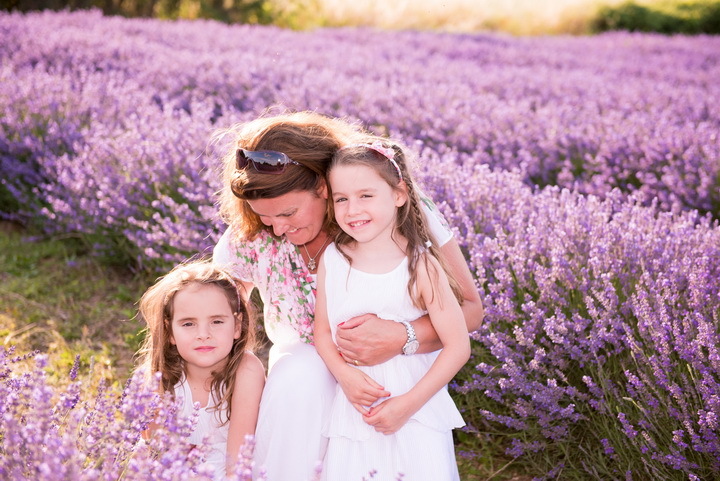 Lordington Lavender make lovely products and use their lavender for other products made by other companies. 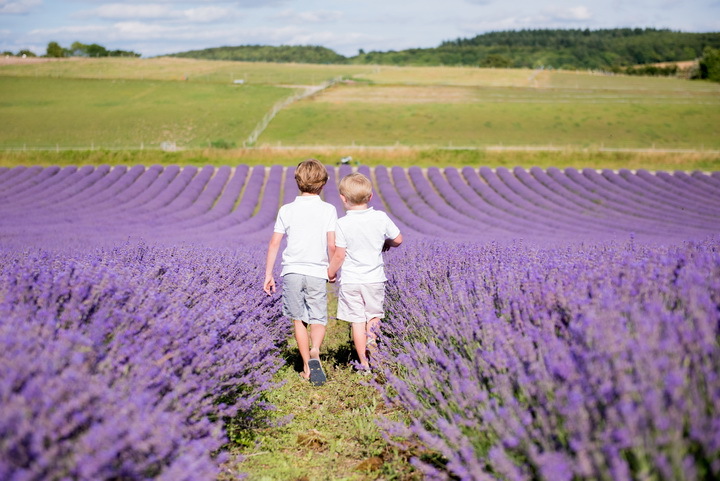 This is a yearly thing and we only really get to be in the lavender for 2-3 weeks of the year. Lucky me to have this field so close to where I live in West Sussex, Chichester. How much does it cost? How do I get in touch? Thanks to the friend bought some Prosecco for afterwards and the little baby arrived at the end. To be honest, as a photographer, this is as good as it gets … the colour, light, smiles, relaxedness and just, warm light. Nature at its best .. only Bluebells can beat this for me! Anyway, next year, let me know if you want to come, £95 for 20 minutes with 10 images retouched – hi-res. Email at sales@gaudions.co.uk or go to http://www.gaudions.co.uk also for wedding photographer for Hampshire, West Sussex or Surrey.